So let me start with you forget how beautiful Connecticut is when you have lived here all your life. Ryan and I rented another beach house in Old Lyme, CT right on the water and it was incredible. We did it last year as well and wanted to try some new adventures and restaurants along the shoreline. 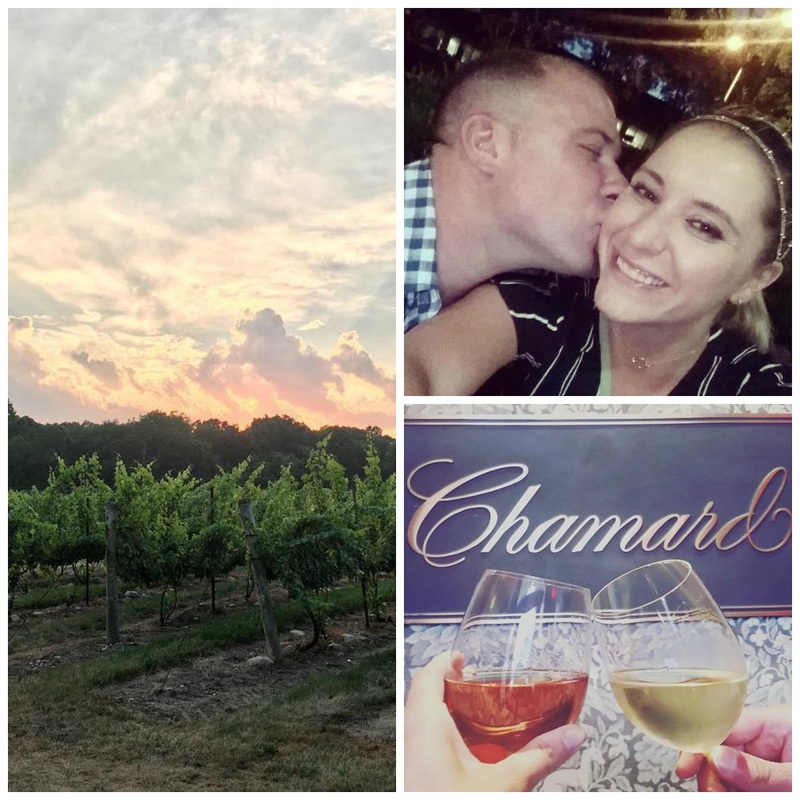 We had the perfect date night and I highly suggest any couple vineyard and foresta hop! A good friend + foodie blogger recommended La Foresta in Killngworth which was not too far from where were staying so we decided to give it a try. Since we had a 730p reservation and we had a baby sitter at 6pm, we knew we had a time for a quick drink before dinner. We stopped by Chamard and we were so happy that there was live music. It was the perfect start to date night and I started with a nice glass of rose (my ultimate beach wine) and we enjoyed some conversation and acoustics. Then we entered La Foresta. The drive helped us understand the name... it truly feels like you are driving to the forest. Once we got there, I was instantly impressed that there were fresh crops such as tomatoes and zucchini growing right on the restaurant property. When we arrived, the owner himself, Francesco sat us to our seats which I truly appreciated. Seeing someone so passionate and acting as a host/owner/waiter is very refreshing. I was immediately drawn to the wine list which was a thick book with possibly 100 pages of options. When it comes to wine, I like to have options. The owner recommended some wines and I loved the attention to detail. I ordered the special which was house made pappardelle with lobster tail. It was incredible. Big portions and big flavor and not a single bite disappointed. Because we were so close to the beach, we were able to walk after dinner which is a true Italian pastime--in Italy we walked after every single meal and I loved being able to do that on the beach because of the location of the restaurant. Thank you, Francesco for a wonderful time! 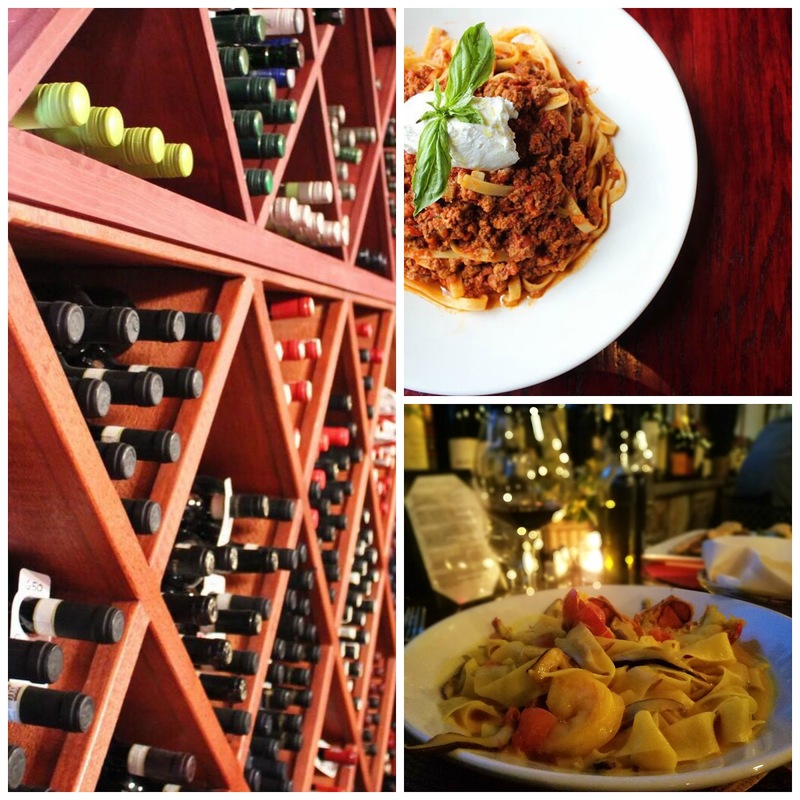 La Foresta is a great place indeed. My friend was there last year and he highly recommended it. It was a rare situation when he rate something so high. I’m telling you this because my friend is an experienced sommelier with international certification. Therefore, you should be thankful to that man who advised you La Foresta. Hope Francesno will soon understand the importance of doing business internationally and will do some steps in that direction. Because if it’s so good as people say it should spread all over the world.